Sadly the world lost Ms. Fornes in 2018, but her words have seen me through many dry spells. The urge to create is never far from my fingers, and the excess are strong and numerous. I want to begin by first thanking Fat Turtle and the amazing cast and crew for giving their time and energy to this production. The act of encouraging artists is an art itself, and not a very common one. When Fat Turtle approached me about a workshop for Adults I was elated. The act of encouraging artists is an art itself, and not a very common one. So many playwrights are easily discouraged by rejection that they might never see their work on stage. For those brave enough to continue in the face of outstanding odds, theaters like Fat Turtle provide a much needed process. After writing a play a play there’s a time period between finishing the first draft and beginning the editing process. For me this time is an absolute must and it has taken years to get comfortable with it. The struggle comes from returning to a script after you’ve left the head space it took to write it. But that’s the point. It’s done being written, it’s time to rewrite. This is a completely different process, and it takes a different approach than writing does. The writing of a script is, for most of us, a solitary activity. You lock yourself in a room, let the voices in your head talk, and try to write it all down. The art of the rewrite cannot happen without the help of real voices. The voices of the actors, the directors, producers, as well as the voice of an audience provides invaluable feedback. That’s where this productions like this come into play. 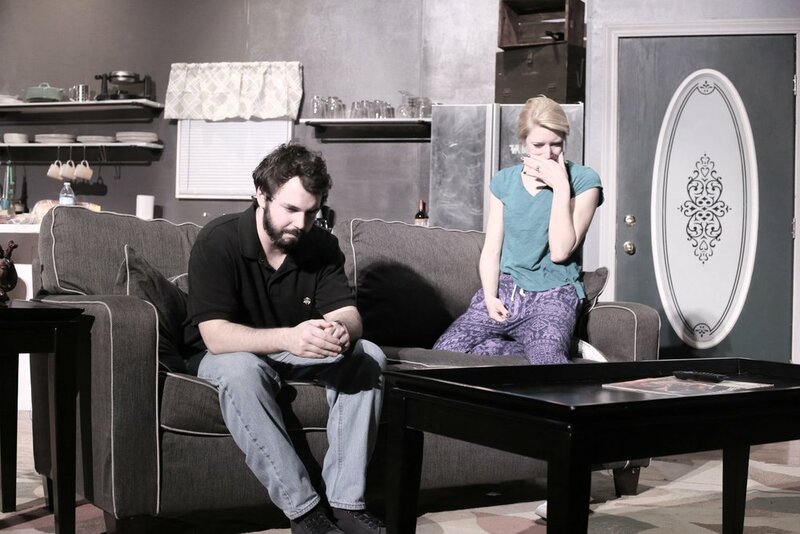 Fat Turtle’s Incubator Project provides playwrights with time to work and rework a script. Whether it’s changing a line of dialogue, or rewriting a whole scene, having performers and directors present to read and give feedback is an invaluable resource. I sincerely hope that Fat Turtle is able to continue in its effort to bring new playwrights to light. That’s the difference a workshop can provide for a script that was written with a simple premise. It can turn the script into something much more complex and, I hope, interesting. Writing about an affair between a married man and single woman held no interest for me. It would be too easy for the audience to dismiss the situation. But when the roles were reversed, a single guy and a married woman, the idea held much more promise. Sarah is an all too real character for me. I’ve seen many friends stay in miserable situations, both personally and professionally, for much longer than they should have. There’s no reason to stay in a situation that’s causing you suffering. EJ is all the best parts of me, that I wish I could be, if I could do everything right the first time around. He is a kind caretaker for those around him, he is a joy to be around, and always knows what a person needs and what they need to hear. The goal being to make him as simple and lovable as possible. As we grow older we tend to not make new friends, so EJ has kept his old friends. Meg, Seth, and Fred are the group we all should have. Loving, accepting, and forgiving. It doesn’t matter what you do when you get together, everyone should have a group of friends that sticks together like they do. These characters have gone on a very long journey from where they started. And I hope they’re not done yet.